What to do with back-end keywords that are not ranking? Manny covers this question along with other PPC-related question on this Q&A Session. 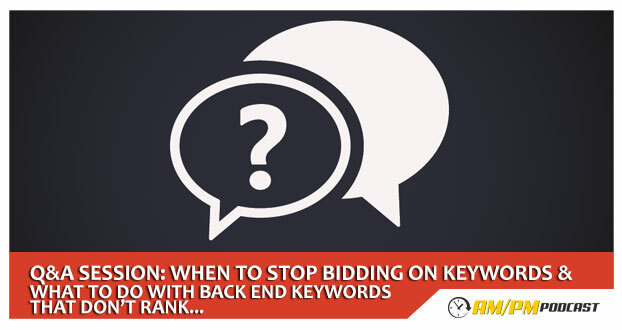 The first questions is: Does organically ranking number one for a keyword warrant stopping the PPC for that keyword or should I keep running PPC since it will keep me at the actual top of the page? The second question is from the Helium 10 support desk about the 5k checker tool: I found 2 fields which are not ranking from my backend search terms. What should I do with those keywords to get them to rank? Listen to this podcast for the answers from Manny and Gui.